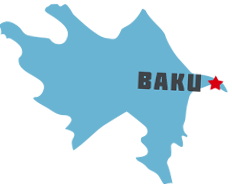 Azerbaijan – a nation with a majority-Turkic and majority-Shia Muslim population – was briefly independent (from 1918 to 1920) following the collapse of the tsarist Russian Empire; it was subsequently incorporated into the Soviet Union for seven decades. Azerbaijan has yet to resolve its conflict with Armenia over Nagorno-Karabakh, a primarily ethnic Armenian-populated region that Moscow recognized in 1923 as an autonomous republic within Soviet Azerbaijan after Armenia and Azerbaijan disputed the territory’s status. Armenia and Azerbaijan reignited their dispute over the area in 1988; the struggle escalated militarily after both countries attained independence from the Soviet Union in 1991. By May 1994, when a cease-fire took hold, ethnic Armenian forces held not only Nagorno-Karabakh but also seven surrounding provinces in the territory of Azerbaijan. The OSCE Minsk Group, co-chaired by the US, France, and Russia, is the framework established to mediate a peaceful resolution of the conflict. SGA partners help support Azeri evangelical churches in a variety of ways including resources for national pastors, church-based biblical training through our Antioch Initiative, and children’s ministries. This includes summer camps, Immanuel’s Child Christmas outreach and Compassion Ministries.